Core Agent is a web application that allows users (agents) to promote certain products online. Agents can participate in campaigns, can test the products of a company and promote these products online. The web application provides a set of tools that the agents can use in order to create viral product promotions, and also launch them on various social networks, such as: Facebook, Twitter, YouTube, Flickr etc. 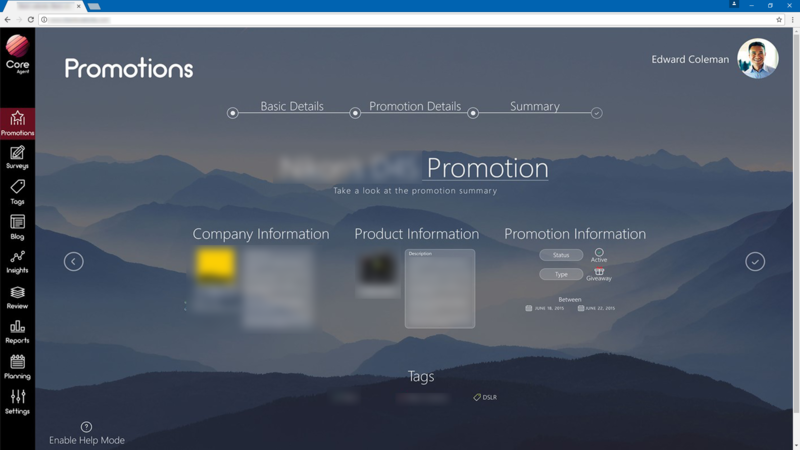 The screenshot added below shows the Promotion page, where agents can configure details about the promotion. They can set or change basic details about the promotion, such as: Company name, URL, Logo, Type of Promotion, Status or Product Name. 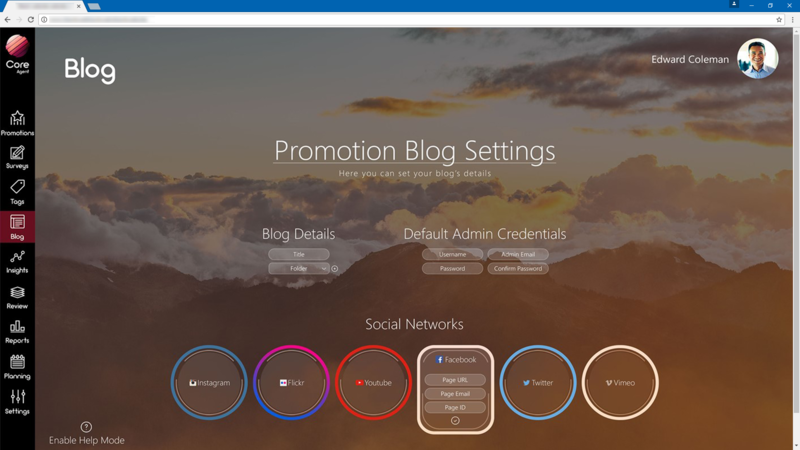 The following screenshot shows the page where the agents can configure the details for the blog that they’ve created, in order to promote a certain product. Also on this page, the agent can configure a series of social networks, for promoting the product. The following screenshot shows the section of the web application where users can review the status of the campaign per country. 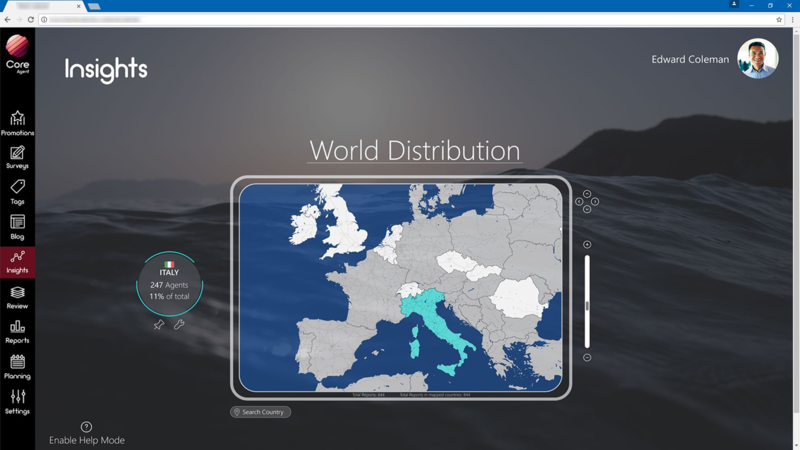 Core Agent shows the countries where a promotion was started, and also various statistics related to the results of the promotion in each selected country. The countries colored in white represent the countries where the promotion has started, and the ones colored in blue represent the countries where statistics about the promotion are available. The agents can also create and manage (from within the web application) WordPress blogs - which can be used in order to promote the product. Also, existing blogs (created outside the solution) can be added to the web application. The company that owns the products can review the status of a certain promotion, investigate the product’s adoption rate in different countries and review statistics for each individual country. The Core Agent web application also offers support for creating online surveys for each promotion. The surveys can be shared on popular social networks, or sent by via direct email or newsletters.